The first day of school is the first day of an academic year. This is usually in August or September in the Northern Hemisphere and January or February in the Southern Hemisphere, but differs from country to country. According to a 2010 decree of Polish Minister of Public Education, the first day of school for regular compulsory education schools in Poland is on September 1 or the first following Monday if September 1 falls on Friday, Saturday or Sunday. The last day is the last Friday after 18th of June. Previously, according to a similar 2002 decree, the above exception was only for Saturday and Sunday, and the last day was the first Friday after June 18. 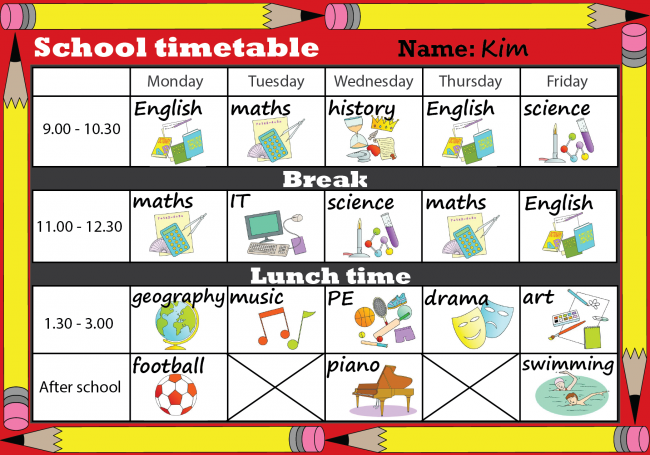 The first day of school for state schools in England and Wales varies by local authority and sometimes by school, but it is nearly always during the first week of September, or occasionally in the second week. The school term in Scotland begins in mid- to late-August, more than a week earlier than in the rest of the UK. The precise date varies by local authority and sometimes by school. Ten wpis został opublikowany w Angielski Wrocław, ćwiczenia językowe i otagowane First day at school . Zakładka permalink .